Asphalt Roof Shingles Company have the largest range of American asphalt shingles roofing materials available in Australia. With 20 – 40 year manufacturers warranty’s there are roofing shingles that resemble the natural beauty of slate and wooden or shakes. A shingle roof is long-lasting with pricing that will suit most roofing or wall cladding applications. To see what our complete range of IKO asphalt shingles roofing options will look like on your house try our new Shingle Roofing Option Viewer Tool. Natural slate looking roofing options. Wooden shingle / shake looking roof shingles. Large variety of natural colours. Long manufacturers warranty’s up to 40 years. Replacement of metal or tiles. DIY roofing supply Australia wide – FREE measure and quotes. Suitable for ‘Low Slope’ pitches above 8.5 degrees. Suitable for wall cladding applications. Very lightweight roofing materials – Saving on building costs and freight costs. As a DIY roofing material, the asphalt shingle system is hard to beat. The easy installation means most standard size gazebo roofs can be completed in a weekend. The basic tools needed are in most backyard sheds and the savings can be large. 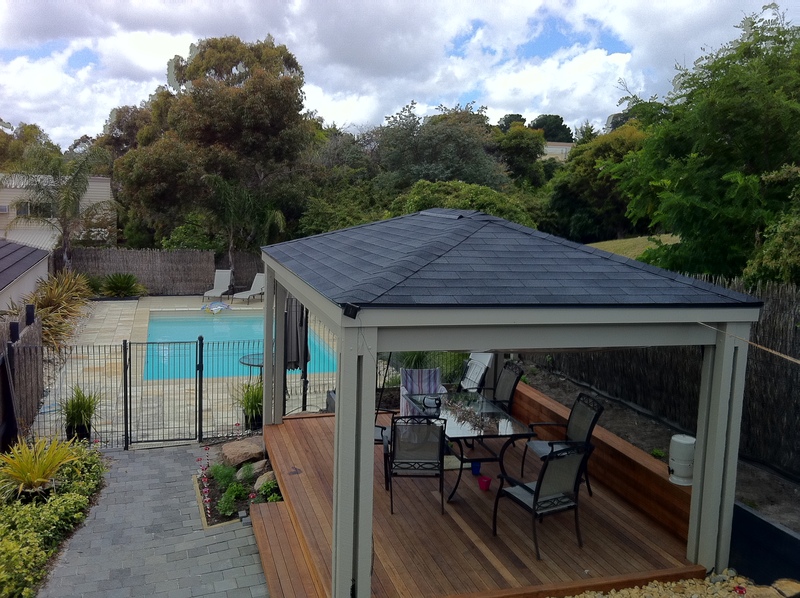 These light-weight roofing supplies can be sent around Australia cheaply and easily. We are the Australian importers and suppliers of IKO’s full range of roofing materials. IKO are the largest exporters of shingle roof materials Worldwide and are often rated the best shingles available. IKO’s range of asphalt shingles have an extra thick fiber-glass mat, heavier bitumen coating and tightly packed mineral granules all combining to produce class leading shingle products. Having completed hundreds of projects over the last 8 years we are industry leaders in roof construction with asphalt shingles systems. Asphalt shingles roofing materials will complement most pitched residential designs, from modern Architectural to classic. Our shingle systems can be applied as a cladding on vertical walls and down to a low 8.5 degrees pitch. 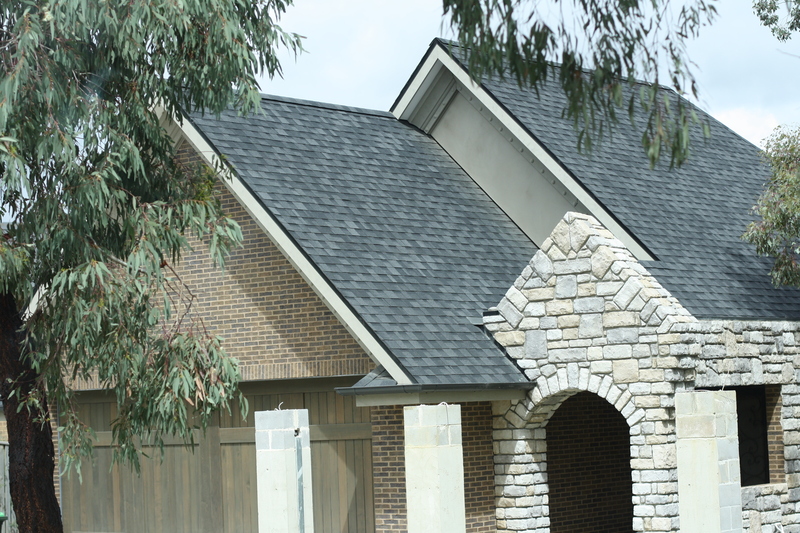 Asphalt shingles are a stylish and practical roofing alternative. Complementing most home designs, asphalt roof shingles are a sound choice in roofing materials. Call your asphalt roof shingles roofing materials experts for some advice or to arrange a quote.